Each individual’s emotional boundary falls somewhere on the spectrum of thick to thin. There are many “alternative” mind-body medical treatments being studied for pain disorders and your emotional boundary type is related to the effectiveness of each of these. 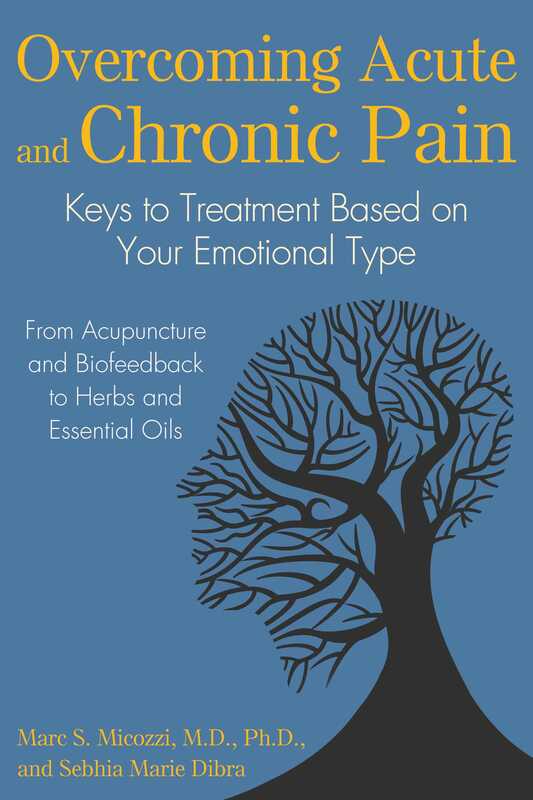 Each of the treatments presented in this book is well established, highly effective, extremely safe, and interferes minimally with life compared to other pain management treatments. The effectiveness of each is evaluated on the basis of what has now been proven through scientific research and evidence. The added benefit is that now you can determine which treatments are right for you based on your emotional boundary type. In the table below, common and significant pain disorders are broken up by the emotional boundary type in which they are most likely to occur--thick, thin, or boundary independent. Six of the major mindbody treatments are listed by their effectiveness for treating these disorders as well as for treating the depression, anxiety, and pain that usually accompany them. Based on the available science and research, these treatments are ranked on a scale of 1 to 5 (with 1 being minimally effective, 3 being moderately effective, and 5 being highly effective), relative to each other and the most powerful treatments allopathic medicine has to offer. Where no number appears it generally means there was not enough data to evaluate it. Some of these conditions are difficult to manage by any means, such as chronic fatigue syndrome (CFS) and fibromyalgia, and the effectiveness and potencies of these active treatments do not reach the highest levels of 4 or 5, although they are usually still quite helpful. For decades allopathic medicine did not have much to offer for CFS or fibromyalgia, most doctors telling these millions of sufferers that it was “all in their heads.” Now that drug companies have developed drugs purportedly for these disorders, suddenly they actually do exist to the world of modern mainstream medicine--if no longer in the heads of these patients, then in their pocketbooks. For many conditions there is a choice of effective treatments as several of the therapies are useful for treating both thick and thin boundary types as well as the common conditions of anxiety and depression. However, in a more general rendering, the chart below shows the treatments that are most specific to thin boundary conditions on the left, with those most specific to thick boundary conditions on the right. In terms of general treatments for your boundary type, the most effective treatments for thick personality boundaries (in this order) are: guided imagery, relaxation/stress management, and meditation/yoga. For thin boundary personalities, hypnosis is the most effective therapy when effective for your condition, followed by acupuncture. Biofeedback is equally effective for thick or thin boundaries. clues to help backtrack to its “etiology”--or origins. That is, once effective treatments are found clinically, it often leads to a better understanding of the causes of the disease. Once we figure out how to cure a disease, it gives clues as to what is really causing it in the first place. Now that we can apply the thin and thick boundary concepts to disorders and their treatments, we have another window into what causes these disorders in the first place. Hypnosis provides a good example of this. Like the other mindbody therapies, how or why this treatment works has not been fully understood. In the absence of a complete understanding of how hypnotism and mind-body medicine really work, the Spiegel doctors, a father and son team, at Stanford University in Palo Alto, California, developed “hypnotic susceptibility scales” to be able to predict who would benefit with what types of disorders. This breakthrough provided the comfort of proving statistical associations where a more fundamental “mechanistic” science was lacking. After nearly a quarter of a millennium, we have now discovered that the susceptibility of individuals to hypnosis also relates to boundary type, again based upon statistical associations. Now you can see, as with other things in life, that really knowing your boundaries is an important key to health, healing, and happiness. Further, you can apply an understanding of your boundary type to the five other common and effective mind-body treatments to seek better, more effective treatments that are specifically suited to you. Marc S. Micozzi, M.D., Ph.D., is adjunct professor of pharmacology and physiology at Georgetown University School of Medicine and the founding director of the Policy Institute for Integrative Medicine in Washington, D.C. The author and editor of Fundamentals of Complementary & Alternative Medicine and coauthor of The Spiritual Anatomy of Emotion, Your Emotional Type, New World Mindfulness, and Avicenna's Medicine, he lives in Bethesda, Maryland, and Rockport, Massachusetts. Sebhia Marie Dibra contributes a 21st-century perspective on energetics and spiritual dimensions to health and wellness issues, including life cycle and healthy aging. Coauthor of Common Pain Conditions with Marc Micozzi, among other publications, she is on the editorial board of the European Journal of Physics Education and is a biofeedback retreat facilitator at the Academy of Wellness.